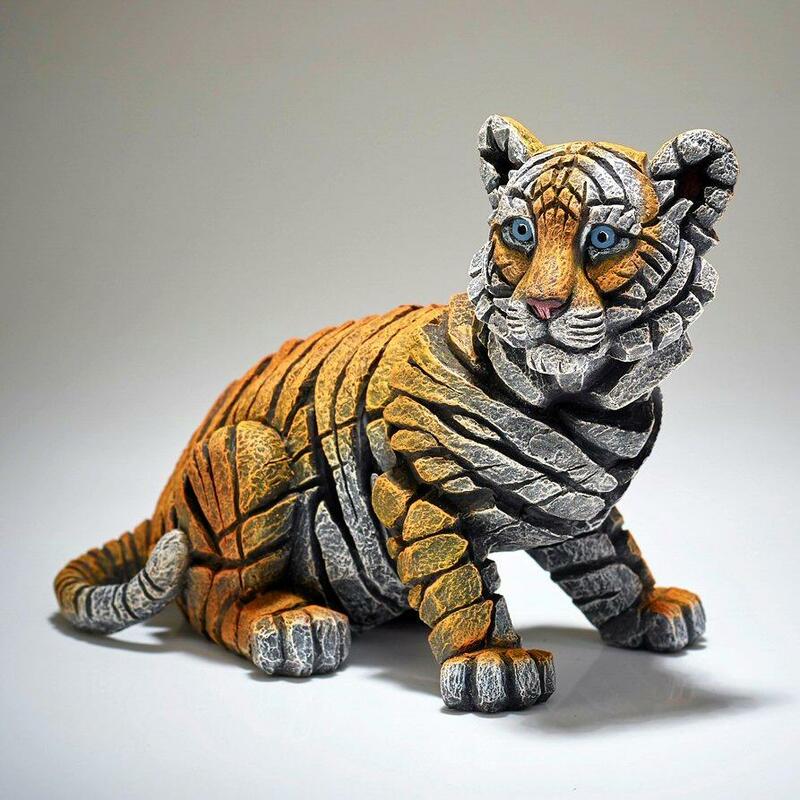 Endearing tiger cub sculpture in a contemporary style by Matt Buckley - part of the EDGE collection. Native to Asia, primarily India and China, this charismatic, lone hunter is one of the world's most iconic animals, featuring prominently in ancient mythology and folklore as well as modern films and literature, appearing on many flags, coats of arms and as mascots for sporting teams. The tiger is the national animal of India, Bangladesh, Malaysia and South Korea. 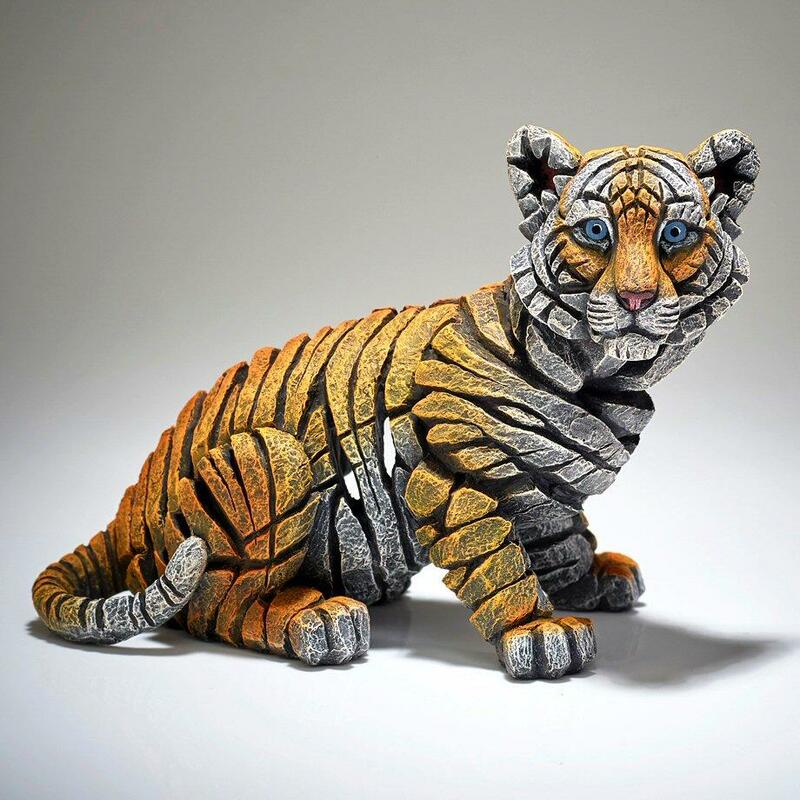 Matt Buckley's superb sculpture captures the playful nature of the tiger cub. There is also adult tiger bust available to compliment the tiger cub - Tiger Bust Bengal EDB02.